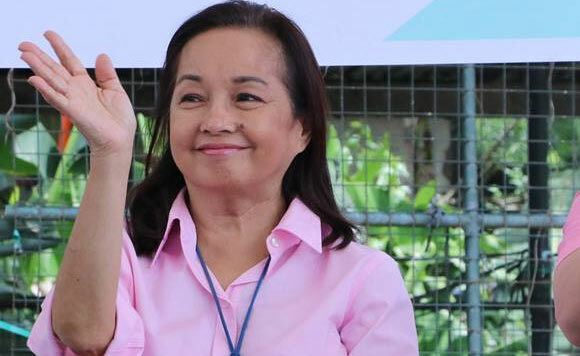 House Speaker Gloria Macapagal Arroyo took time out Thursday afternoon to hear the concerns on the proposed second package of the Tax Reform for Acceleration and Inclusion (TRAIN) of locators at the Freeport Area of Bataan (FAB) here. She met with representatives of 136 investors who aired their apprehensions on the proposed bill in a closed-door meeting and business forum. With Arroyo and Cua were Undersecretary Karl Kendrick Chua of the Department of Finance (DOF) and Bataan Rep. Jose Enrique Garcia III. Governor Albert Garcia, Mariveles Mayor Ace Jello Concepcion and FAB chairman Emmanuel Pineda were also present in the meeting attended by Patrick Martinez, managing director of Essilor Manufacturing and president of FAB locators, and other investors. Martinez, a French national, said locators were concerned about post-Train 2 incentives that would fall behind other countries. Edwardo Joson, Essilor Finance and Administrative manager, said they were concerned with the 5 percent tax on lost income that would discontinued under TRAIN 2. “With the new proposed law, there is a sunset provision that after a few years, we will be paying 18 percent on net income. In our company, for example, we will be paying about 80 – 90 percent more in terms of income taxes,” Joson said. Congressman Garcia, Governor Garcia and Mayor Concepcion were all hopeful that the concerns voiced out by the locators would be acted upon positively. The Bataan solon said the main discussion was about the provision of TRAIN 2 on the length of incentive, rate of incentives and Value Added Tax exemption that would be lost if the investor is not exporting. “We are hoping that with Congressman Carlo Cua present and the House Speaker present, we can come up with some amendments that will be win-win for both revenue generation on the government side and job generation which we want to happen in our country,” the lawmaker said. Mayor Concepcion feared that the local economy would be affected if the investors will leave because their concerns were not heard. “Take a look at the performance of freeports and study what should be improved and should be taken into account when it comes to tax provision,” he said. The Bataan officials said that FAB is successful and that DOF has acknowledged it.